The Coastal Module was noted in the CIAP Newsletter, Surge. 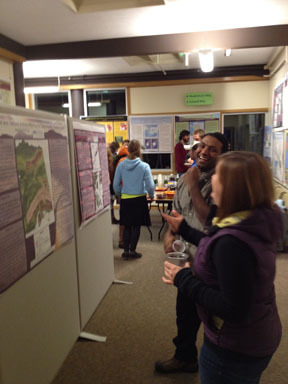 We presented the new Coastal Module at the Alaska Forum on the Environment in February of 2014. See our little blurb in the Coastal Impact Assistance Program Newsletter, Surge! You are invited to attend a presentation on the Southeast Alaska GIS Library Coastal Resource Module. Everyone is welcome. Please feel free to forward to anyone who may be interested. This will be our last presentation before field season. Webinar: http://join.me/seakgismeet - Please join us if you are available or try to gather up together at your office locations to participate fully in the discussion. The Coastal Resource Module is a user-friendly on-line GIS database with a wealth of information that may be helpful to planners, researchers, NGO's, students, consultants, recreationalists, conservation planners or virtually anyone who is involved in land or resource management. The resource module includes a variety of mapping resources, habitat information, and geospatial data of all types. University of Alaska Southeast GIS Coordinator Kim Homan will give a 45-minute presentation followed by a question and answer period to show you how it all works. For a sneak preview, go to: http://seakgis.alaska.edu for the SE AK GIS Library holdings and/or navigate to http://seakgis.alaska.edu/coastal-resource-module/ for the Coastal Thematic Map gallery. The Southeast Soil and Water Conservation District is accepting applications for an Invasive Plant Technician position in Juneau AK. If you are interested in applying for this position, please submit a resume and cover letter to the District Manager by Friday, May 9, 2014. The Southeast Alaska GIS Library will present an overview of the Coastal Module during the GIS Jam Session of the Alaska Surveying & Mapping Conference on Thursday, March 27th, at 11am, in Fairbanks, AK. The range of human activities and wildlife habitat occurring at the interface between terrestrial and marine zones in SE Alaska makes the coastal zone both complex. The SE Alaska GIS Library and its partners identified access to a broad range of coastal geospatial data as a starting point for resource managers to navigate this complexity. Through partner support, the Coastal Resource Management Module is a family of services hosted by the SE Alaska GIS Library that facilitates access and visualization to a broad range of users. Visit the Alaska Surveying and Mapping Conference website at http://www.aksmc.org. View the GIS Jam agenda. For more information about the Southeast Alaska GIS Library, please visit our website or contact the GIS Coordinator, Kim Homan at kim.homan@uas.alaska.edu or (907) 796-6051. Explore our new Coastal Resources Maps for Southeast Alaska. Explore our new Coastal Resources Management Module through thematic maps relevant to Southeast Alaska. The Coastal Resource Management Module is a family of services hosted by the SE Alaska GIS Library including web maps, web mapping services and downloadable GIS data. This is a short survey. All questions are optional. Tell us a little or a lot! February 3-5, 2014, ADNR TIPS Training Room, Anchorage, AK. Please join us for a free, hands-on training of Alaska's hydrography stewardship model, the Alaska Hydrography Database (AK Hydro). Please join us for a free, hands-on training of Alaska's hydrography stewardship model, the Alaska Hydrography Database (AK Hydro). Attendees will gain exposure to the standards and workflows required to participate in the statewide hydrography collaboration, as well as get hands-on experience editing and contributing updates to both AK Hydro and the National Hydrography Dataset (NHD). If you're interested in updating hydrography data in Alaska, then this training is for you! For more information about the training or to sign up, please contact Becci Anderson at rdanderson@usgs.gov. Please see the attached flyer for more information. Blue Skies Solutions will be hosting a 3-day ArcGIS II Essential Workflows training event in Juneau, January 29-31, 2014. This esri Certified* course will familiarize students with the fundamental skills needed to author, share, and use geographic information and maps across the ArcGIS system. You will learn how to efficiently find, explore, manage, and analyze geographic data and create informative maps that showcase your work. The course covers a variety of techniques to effectively share GIS maps and resources with decision makers, stakeholders, and the public. It is designed for GIS professionals and others who have an introductory-level knowledge of GIS concepts and limited ArcGIS experience, but is also a great refresher for GIS users at all levels. After completing the course, you will be able to use ArcGIS software and content to create high-quality maps that combine data from different sources. You will also learn to organize, create, and edit geographic data so that it is accurate and up to date. And finally, you will learn to deliver maps and analysis results to multiple platforms so they are accessible to other ArcGIS users and to non-GIS users. GIS professionals and others who have an introductory-level knowledge of GIS concepts and limited ArcGIS experience. Select the red "Click here to register" link on the Juneau training information page. Pay online or via invoice. 2. Click here to download a PDF brochure for the training. Fill out the registration form and mail it back to us at the address provided. Since 2003 Blue Skies Solutions has instructed Alaska GIS professionals at all experience levels in the use of esri GIS software. We have been certified by esri to teach their ArcGIS I and II courses for ArcGIS version 10.1. We also instruct users on the challenges of utilizing GIS within the state of Alaska. Our instructor, Michael Knapp, has over 18 years of GIS, GPS, and remote sensing application experience and is a certified GIS Professional (GISP). In 2010, he became a Certified Technical Trainer (CTT+) through CompTIA. The CTT+ certification evaluates instructor skills in class preparation, presentation, communication, facilitation and evaluation. Also in 2010, Michael successfully completed the requirements to become a member of the first group of GIS professionals to be recognized as a certified esri Desktop Associate. Blue Skies is an Alaskan company specializing in the application of GIS & database technology for natural resource managers. We believe that a solid foundation in GIS, database, and web programming skills is an invaluable tool for professionals who regularly use, modify, and convey location information associated with environmental, real estate, and utility data. The right combination of training and exposure to the available GIS data resources in Alaska can be a critical step in effective communication between professionals. Find an expense-paid internship with the Student Conservation Association! The SCA places over 2,000 interns in a wide range of conservation, environmental and sustainability-based internships each year. Find an expense-paid internship with the Student Conservation Association! The SCA places over 2,000 interns in a wide range of conservation, environmental and sustainability-based internships each year. Interested in GIS, national parks, native plants, cultural resources, photography, fisheries, business, or forestry? Learn more here: http://thesca.org/serve/internships. Alaska applicants: email SCA recruiter Jeff Chen at Jchen@thesca.org with any questions. Apply this Fall for 2014 positions in and out of Alaska. Learn about our field leader positions too: http://thesca.org/serve/field-leaders/overview. Please contact Jeff Chen for more information. The Alaska Department of Transportation and Public Facilities and the Alaska Region of the USGS have joined the Southeast Alaska GIS Library partnership. The Alaska Department of Transportation and Public Facilities and the Alaska Region of the USGS have joined the Southeast Alaska GIS Library partnership. The project operates under the terms of a Memorandum of Understanding (MOU). Our MOU was recently modified to include our new partners. The goal of the GIS Library is to promote the use of regional geospatial data and applications to further research and improve management of public resources in Southeast Alaska. In addition, the Library provides a framework for coordinating the acquisition and sharing of spatial data between the public, researchers, educators, and managers. It also provides a forum for discussing regional data standards, future data needs, and opportunities for collaboration. To learn more about our partnership, please visit our Partnership links or contact the GIS Library Coordinator. SEAKGIS Steering Committee member, Erik Johnson recently presented the Alaska Hydro Project at the 2013 ESRI Conference. Southeast Alaska GIS Library Steering Committee member, Erik Johnson, Regional Geospatial Program Manager, for the USDA Forest Service - Alaska Regional Office, presented the Alaska Hydrography Database project at the 2013 ESRI International User Conference in July. Please see our Alaska Hydrography Database page for more information or you may contact Erik directly at ejohnson02@fs.fed.us. Blue Skies Solutions will be hosting their next 3-day Introduction to GIS training event in Juneau on October 15-16, 2013. This course teaches what a GIS is and what you can do with it. Working with the ArcGIS system, you will create GIS maps, explore and analyze the data behind the maps, and apply methods to easily share your maps. By the end of the course, you will gain solid understanding of how GIS maps and ArcGIS tools are used to visualize real-world features, discover patterns, obtain information, and communicate that information to others. Who Should Attend: Individuals who do not have any prior GIS education or workplace experience with GIS. * Quickly create and share a GIS map using ArcGIS web-based tools and content. * Find and organize geographic data and other GIS resources for a mapping project. * Accurately display features on a GIS map and efficiently access information about them. * Analyze a GIS map to identify where features that meet specific criteria are located. * Share GIS maps and analysis results so they can be viewed using desktop applications, websites, and mobile devices. We have put the finishing touches on the Wetlands Module webpage and application. The USFWS-sponsored WESPAK-SE (Wetland Ecosystem Services Protocol for Alaska – Southeast) is intended to provide agencies, NGO’s and the development community a consistent tool for rating functions and values of wetland sites for impact analysis, mitigation planning, and conservation. Please see detailed information about the Protocol at our partner's website at the Southeast Alaska Land Trust. Please see the full page for more information or contact us for details. The Southeast Alaska GIS Library and Spatial Ecosystem Analysis Lab (UAS) are hosting a Python Scripting Workshop taught by Blue Skies Solutions this Spring! $150* for registered UAS students. * 5% City & Borough of Juneau tax will be added (federal, state, & non-profit entities are tax exempt). This workshop will provide people unfamiliar with Python and its use in ArcGIS the opportunity to start with the basics and learn how Python can help you increase the efficiency of your GIS tasks. Each participant will have the opportunity to obtain hands-on experience with Python. At the completion of the workshop, participants will have an understanding of what Python is, what is possible to do with it, and how to access Python scripting tools from both outside and within the ArcGIS environment. And perhaps more importantly, you will leave with a new set of skills and larger understanding of what is possible with ArcGIS. And with Esri no longer supporting Visual Basic for Applications after version 10, now is the perfect time to learn about Python so you can begin to migrate your VBA code. Contact the GIS Library Coordinator, Kim Homan, with questions. There are still places available in this spring’s Advanced GIS class at UAS – ENVS/GEOG 410. There are still a few places available in this spring's Advanced GIS class at UAS - ENVS/GEOG 410. Class meets Tuesday and Thursday, starting at 5:15, and ending around 7:30 (depending on lab sessions). First class session is Tuesday, January 15. I understand the last day to add is Tuesday, January 22. This is a three-credit class. 1/3rd -- Review of major components of the software, including data management, geoprocessing, and map production. 1/3rd -- Spatial Patterns and Analysis: proximity, central tendencies, dispersion, and geostatistics. 1/3rd -- Spatial Modeling: theory and implementation of kriging and spatial interpolation methods, least-cost modeling, and spatial correlation. In addition, this course at UAS provides access to ESRI's software extensions, allowing students to learn techniques and details of important (and often expensive) modules. This is the class I wish I had available as I was learning GIS. It would have greatly simplified a lot of the "on-the-job" training I've done over the years, especially during the ongoing (and interesting ...) development ESRI's product line. There is a pre-req for the course (beginning GIS), which can be waived if a prospective student is comfortable with learning new (advanced) software, and is reasonably adept at (for example) using the advanced features found in Excel. Please feel free to contact me by email or phone, if you have any questions. The Southeast Alaska GIS Library will offer a short workshop to help get your metadata written. Tuesday, January 8th, at 1:30 pm in the GIS Lab at UAS, Hendrickson Building, Room 110. 1. More time for family and friends. Happy New Year! The Southeast Alaska GIS Library will offer a short workshop to help you get your metadata written. I will do a short overview, including the standards, the ArcGIS 10.1 Metadata tools and "Tips and Tricks." We will meet in the GIS Lab at UAS, Hendrickson Building, Room 110 on Tuesday, January 8th, at 1:30 pm. After the presentation and discussion, we have access to the lab for metadata writing. Bring your data, back ground documents and a willingness to write. We can also make the presentation available through our web meeting. Let me know if that would be helpful. Please RSVP and feel free to share this event with your data stewards. Blue Skies Solutions will be hosting their next 3-day GIS training event in Juneau on January 23 – 25, 2013. Blue Skies Solutions will be hosting their next 3-day GIS training event in Juneau on January 23 - 25, 2013. The course they are offering is the Esri "ArcGIS II: Essential Workflows" course for ArcGIS 10.1. It is 3 days in length. Please see the flyer here. We have new data and map services at the GIS Library for the Fall of 2012. If you have data you wish to contribute, suggestions for data to add or data on your wish list, please contact the GIS Coordinator for assistance. The Historic USGS topographic maps project for Alaska has been completed. WELCOME JASON SEIFERT, OUR NEW SEALAB GIS TECHNICIAN! 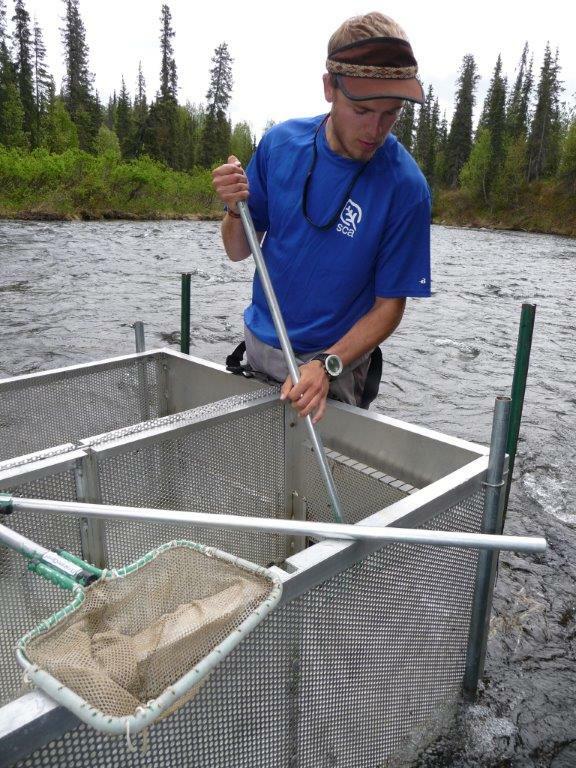 The Spatial Ecosystem Analysis Lab (SEALAB) is pleased to welcome Jason Seifert to our team. The Spatial Ecosystem Analysis Lab (SEALAB) is pleased to welcome Jason Seifert to our team. As the GIS Technician, Jason will be working with the GIS Library and the SEAK Hydro project furthering our data distribution and analysis functions. Previously a GIS Specialist at NOAA's National Operational Hyrdologic Remote Sensing Center, Jason also worked at baseline climate observatories in American Samoa, South Pole Station, and Summit Camp, Greenland. Jason hails from Minnesota, where he earned a B.S. in Geography and Master's of Geographic Information Science from the University of Minnesota. Please see Jason's full bio on the SEALAB website. Our survey is now closed. Thank you for your input. Thank you for responding to our GIS Library Services Survey. Our survey is now closed. We are gathering information to assist in improving the Southeast Alaska GIS Library website and services. Results from the survey will be posted later this month. Please contact Kim Homan, GIS Library Coordinator for more information. We are gathering information to assist in improving the Southeast Alaska GIS Library website and services. The survey contains 10 questions. Your opinions are greatly valued. If you are having trouble seeing the survey, please note you must have Java Script enabled and be able to accept cookies. Survey Monkey provides help here. The GIS Technician position has been filled. Thank you all for your applications. The Spatial Ecosystem Analysis Lab (SEALAB) at UAS is hiring a GIS technician. The GIS technician will assist 2 senior staff members on technical aspects of GIS data management and processing, web-based mapping, and data-dissemination activities associated with SEALAB and its associated flagship projects, the Southeast Alaska GIS Library and the Southeast Alaska Hydrography Project. This is not a research position. Target start date: July 2012. Open until filled. Please see the atttached job description for more details. The Spatial Ecosystem Analysis Lab (SEALAB) is pleased to announce the launch of their website http://sealab.uas.alaska.edu/. The Spatial Ecosystem Analysis Lab (SEALAB) is pleased to announce the launch of their website http://sealab.uas.alaska.edu/. SEALAB, headed by Dr. Sanjay Pyare, is the UAS node of the Geographic Information Network of Alaska (GINA). Please be advised that the web addresses for both the GIS Library Geoportal and GIS Library Map have been restored to our seakgis03.alaska.edu domain. Old links will no longer function as of June 16, 2012. Please be advised that the web addresses for both the GIS Library Geoportal and GIS Library Map have been restored to our http://seakgis03.alaska.edu domain. This change affects all of the Library and SEAK Hydro map services. Our home page remains at http://seakgis.alaska.edu. Please update your bookmarks and connections to map services – the restored links are available now. Old links will no longer function as of June 16, 2012. Contact, Kim Homan, the SE AK GIS Library Coordinator, for assistance. The Alaska Coastal Rainforest Center is hosting a symposium titled Coastal Temperate Rainforests: Integrating Science, Resource Management, and Communities. The Alaska Coastal Rainforest Center is hosting a symposium titled Coastal Temperate Rainforests: Integrating Science, Resource Management, and Communities. This symposium will feature keynote speakers and international plenary sessions addressing interacting systems, ecosystem services, conservation across borders, resource planning and management, public policy, and education. Join us for a field trip to Berner's Bay on April 17 and at Centennial Hall in Juneau, Alaska on April 18 and 19, 2012. Day of registration is available as space allows. The GIS Specialist for Glacier Bay National Park and Preserve is responsible for the development, management, coordination, and implementation of the GIS for the Park and the design and management of various relational databases. You will serve as the GIS Specialist for Glacier Bay National Park and Preserve, residing within the Resource Management Division, with responsibility for the development, management, coordination, and implementation of the Geographic Information System (GIS) for the Park and the design and management of various relational databases. The interdisciplinary nature of this position requires the programmatic integration of the knowledge of biological and physical resources, digital cartography, and geography to the development, analysis, and use of geographic and relational databases that are pertinent to the park resources. • Design, develop and manage geographic information systems and database management systems. • Analyze geospatial data to determine resource conditions and trends, model predicted results of alternative management actions, and work to resolve resource management issues. • Maintain hardware, peripherals, GPS units and GIS software installations. • Participate in field GPS data collection projects and integrate GPS data with geographic information systems. • Implement data documentation procedures and distribution using appropriate technologies and standards. • Integrate biological and physical resources, digital cartography and geography to design geographic and relational databases pertinent to park resources. • Work closely with park staff from multiple divisions to produce digital and hardcopy GIS products. • Train and instruct others in the use of GIS applications and basic GIS, GPS, and related technology. For questions regarding the duties of this position, please call Lisa Etherington at (907) 697-2640 or email at lisa_etherington@nps.gov. The Southeast Alaska GIS Library will present an overview of Library Services during the GIS Jam Session of the Alaska Surveying & Mapping Conference on Thursday, February 16th, at 8 am, in Anchorage, AK. The Southeast Alaska GIS Library will present an overview of Library Services during the GIS Jam Session of the Alaska Surveying & Mapping Conference on Thursday, February 16th, at 8 am, in Anchorage, AK. Join us to show support for our regional resource or to learn more about GIS services in Southeast Alaska. USGS will introduce their Alaska Mapping Initiative at the Alaska Surveying and Mapping Conference (ASMC) February 13-17, 2012 in Anchorage. USGS will introduce their Alaska Mapping Initiative at the Alaska Surveying and Mapping Conference (ASMC) February 13-17, 2012 in Anchorage. USGS will present prototype US Topo maps at a technical session Friday Feb 17th at 11:00 at ASMC. This presentation will outline USGS plans for production of US Topos for Alaska to begin in FY13. Technical specifications, data content, data challenges, and extent of state coverage will all be discussed in this presentation. An additional question and answer session and technical discussion will be held as part of the AGDC annual meeting from 1:30 to 3:30 pm Friday February 17th at the conference location. 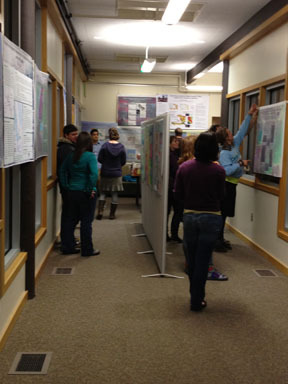 USGS will also have an exhibit booth at ASMC with printed samples of the Prototype Alaska USTOPOs for review and comment. USGS is looking for comments on product scale, contour units (English or metric), contour interval, density of NHD streams, as well as any other comments or suggestions you have. Your comments on these prototype maps are appreciated and will assist USGS in improving the production map product. The completed Geospatial Business Plan for Alaska is now available online. The Final Plan is now available at https://sites.google.com/site/akgeospatialplans/AKGeospatialBusinessPlanFINAL.pdf. You will also find a record of the comments received on the plan and the action take for each comment in the document located at https://sites.google.com/site/akgeospatialplans/AKBusinessPlanPublicComments.pdf. This Business Plan supplements the Strategic Plan developed for Alaska geospatial coordination. As a key step in implementing the National Spatial Data Infrastructure (NSDI), these plans will facilitate the collaboration, coordination of programs, policies, technologies, and resources that support the collection and sharing of geospatial data across Alaska. The Southeast Alaska GIS Library’s geoportal can now be accessed through ESRI’s geoportal server page. The Southeast Alaska GIS Library's geoportal can now be accessed through ESRI's geoportal server page which should greatly increase the visibility of the site and access to Tongass and Southeast Alaska GIS data. The Southeast Alaska Hydrography Database provides for collaborative stewardship of the National Hydrography Dataset and has been established at the University of Alaska Southeast. A partnership for the collaborative stewardship of the National Hydrography Dataset (NHD) has been established at the University of Alaska Southeast (UAS). NHD is the surface water component of the National Map; a cooperative effort among the United States Geological Survey (USGS) and other Federal, State, and local partners to improve and deliver topographic information to the nation. In 2002, the Forest Service entered into an agreement with USGS to adopt the NHD as the Forest Service standard dataset for streams in the Natural Resource Information System (NRIS) suite of corporate data applications. In 2008, all Forest Service applications, including NRIS, were combined to form Natural Resources Manager (NRM) to provide better coordination and interoperability between all Data Center applications: the NHD is fundamental to this interoperability. As hydrography is an important component of Alaska’s GIS fabric and often is the foundation for other spatial layers, a data partnership, dubbed the Southeast Alaska Hydrography Database (SEAK Hydro) project, was stood up in 2011 by the Forest Service, UAS, USGS, and the Alaska Department of Fish and Game (ADF&G) in order to increase efficiencies and reduce costs associated with updating and maintaining the NHD, as well as provide local entities with hydrography attributes meeting a full range of local business requirements. Current SEAK Hydro stakeholders include USGS, ADF&G, the Tongass National Forest, and UAS. SEAK Hydro will soon provide services to entities beyond southeast Alaska including the Chugach National Forest and the Kenai Watershed Forum. Stream networks that allow upstream or downstream tracing from dams, gauges, fish barriers, and contaminants. SEAK Hydro data comes in a straightforward, user-friendly format that is less costly to maintain than directly managing the NHD through USGS editing tools. UAS spatially tracks incoming edits from its partners thereby minimizing conflicts between editors from different agencies or offices. NHD, in turn, is updated from SEAK Hydro data by way of services provided by specialized staff at UAS. The leadership offered by UAS reduces the duplication of efforts within the public sector. SEAK Hydro data is publically available through the UAS GIS Library. The project is currently seeking new partners who are interested in providing additional data and/ or assisting with the editing process as well as entities that are in need of services for uplifting their hydrography information into NHD. Funding assistance to support SEAK Hydro is also desired. SEAK Hydro will contribute to building a better GIS in southeast Alaska and beyond by providing the best available information to partners and stakeholders while ensuring the NHD is accurate, reliable, and up to date. In July of 2011, SEAK Hydro received a Special Achievement in GIS award at the 2011 Esri International User Conference in San Diego. The award is given annually to recognize outstanding work with GIS technology and the SEAK Hydro project stood out from more than 100,000 others. ADF&G, TNF, UAS and USGS were acknowledged as co-recipients of the award. Please contact the SEAK Hydro Technical Steward at UAS for further information about the SEAK Hydro project. The consortium of ShoreZone partners is pleased to report that imaging and mapping for Southeast Alaska has now been complete. The consortium of ShoreZone partners is pleased to report that imaging and mapping for Southeast Alaska has now been complete. The ShoreZone project includes all of the shoreline within the Alexander Archipelago, except for Glacier Bay. This is truly a milestone as the Southeast Alaska project has been underway since 2004. We would like to thank those who have contributed to creating this mapping and classification system for the nearshore environment. At the annual meeting held in October, users described the myriad of ways in which the data is being used. A full report on the proceedings from the annual meeting will be available shortly. The October 2011 Southeast Alaska Data Summary Report can be found by clicking here. The imagery and mapping is available on this and NOAA's ShoreZone website. Please see the original post on the ShoreZone website. The Alaska Coastal Rainforest Center will hold a second workshop to develop cross-boundary geospatial and climate data sets in support of regional conservation applications in the coastal temperate rainforest zone of Southeast Alaska and British Columbia. Project Summary: The Alaska Coastal Rainforest Center will hold a second workshop to develop cross-boundary geospatial and climate data sets in support of regional conservation applications in the coastal temperate rainforest zone of Southeast Alaska and British Columbia. This project will continue to facilitate planning sessions and forums on technical development of standardized datasets and will formalize a platform for coordination of data exchange and dissemination via the Southeast Alaska GIS Library. In addition, this workshop will establish a plan for future analytical efforts in which cross‐boundary datasets are utilized to address critical and regional conservation applications such as connectivity and dispersal, carbon budget allocation, and climate change vulnerabilities. Agenda: The agenda is still in development. Feel free to contact us for more information. 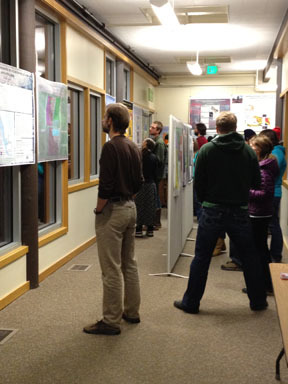 Please join us at UAS for an annual Student-Research Poster Session in Geography comprised of about 35 undergraduate student projects in Biogeography and Geographic Information Systems (GIS) courses. 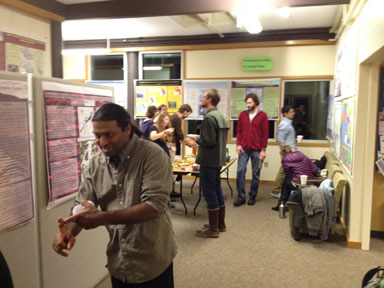 The poster session will be up from Thursday Dec. 8th 2011, 5:30 -7:30pm until the end of the semester in the 2nd floor entryway of the Soboleff Building on the UAS campus. Many students used GIS data from the SE AK GIS Library. Support these students' efforts and give them some good feedback! SEAK Hydro has been in the news! Our own SEAK Hydro Database has been in the news! The Southeast Alaska Hydrography Database (SEAK Hydro) is a joint project between the University of Alaska Southeast, USDA Forest Service, Alaska Department of Fish & Game and US Geological Survey established around the collaborative maintenance of regional hydrography data. The success of the project has been recently been recognized by local media. “One Out of 100,000: SEAK Hydro Project” on page 28, in the Fall 2011 Edition of USFS, Alaska Region’s, SourDough Notes. Another interesting article written by Dustin Wittwer, “GNSS: New GPS” on page 34. “UAS Celebrates Success: UAS receives prestigious GIS award” in the Juneau Empire, October 30, 2011. The original ESRI 2011 SAG Award Winners website. The Southeast Alaska GIS Library Steering Committee would like to welcome Kim R. Homan as our new GIS Library Coordinator. The Southeast Alaska GIS Library Steering Committee would like to welcome Kim R. Homan as our new GIS Library Coordinator. Kim comes to us with more than 15 years of GIS experience in federal, tribal, state, county and city governments, and as a private consultant. She is looking forward to assisting GIS Library users, and to adding tools and data to the library. If you would like to partner with us or need help with the library, please contact Kim at krhoman@uas.alaska.edu or (907) 796-6051. The Southeast Alaska GIS Library and partners received a Special Achievement in GIS (SAG) award at the 2011 Esri International User Conference for their collaborative work on Southeast Alaska Hydrography Database (SEAK Hydro). The University of Alaska Southeast, USDA Forest Service, Alaska Department of Fish & Game and US Geological Survey received a Special Achievement in GIS (SAG) award at the 2011 Esri International User Conference for their collaborative work on Southeast Alaska Hydrography Database (SEAK Hydro). The SAG award is presented to agencies from around the world in recognition of outstanding work done with ArcGIS technology. An overview of the award winning SEAK Hydro project is available via the 2011 SAG Award Winners website. Esri have released a collection of Landsat image services and a change detection viewer which make accessing Landsat imagery quick and easy. In early May 2011, Esri released a collection of Landsat image services and a change detection viewer. These tools make accessing Landsat imagery quick and easy, and allow users to perform analysis immediately without the need for specialist knowledge or image analysis software. The information below outlines a bit about the services themselves and the change detection viewer. The Landsat image services comprise over 20 dynamic, multispectral, multi-temporal services which access a collection of 34,000 GLS Landsat scenes collected by USGS and NASA from 1975, 1990, 2000 and 2005. Note: There is little or no Alaskan coverage for most of the 1975 data. The ChangeMatters viewer was built using the ArcGIS API for Flex and consumes the Landsat Image services. The viewer allows for quick, interactive viewing and querying of the large image collection. Users can quickly zoom and pan to anywhere in the world and information screens that explain what is displayed in various band combinations. The viewer also contains change detection tools that enable users to conduct multi-temporal image analysis of change through image differencing. Visit Esri's Landsat landing page, www.esri.com/landsat, which includes links to both the ChangeMatters viewer as well as the image services available through the Landsat Community. This page also includes introductory videos and virtual tours of the image services as well as a white paper covering more technical aspects of the services and viewer. This 2-day workshop was sponsored by the Alaska Coastal Rainforest Center & the Southeast Alaska GIS Library, and supported by the Wilburforce Foundation. It took place at UAS on February 16-17, 2011. The goal of the workshop: Coordinate data integration tools to address issues of regional importance, and begin to implement a cross-boundary data management system. Targeted Audience: The forum included over 40 people who work with and prioritize regional data needs; including resource management program managers; and prospective funding partners. A full suite of documentation pertaining to this meeting is available from the Alaska Coastal Rainforest Center website. ArcGIS.com is a website for experiencing online ArcGIS. Visit the site to create maps, find and use maps, applications, and tools, and share your maps and applications with others. Within the site, you will find applications for building and sharing maps. ArcGIS.com is a Web site for experiencing online ArcGIS - http://www.arcgis.com. Visit the site to create maps, find and use maps, applications, and tools, and share your maps and applications with others. Within the site, you will find applications for building and sharing maps. You will also find thousands of basemaps, specialty layers, applications, and tools that you can view and use, plus communities you can join. What can you do with ArcGIS.com? In an effort to streamline the delivery of geospatial services and data, the Southeast Alaska GIS Library is proud to unveil its new website with associated GIS functionality. In an effort to streamline the delivery of geospatial services and data, the Southeast Alaska GIS Library is proud to unveil its new website with associated GIS functionality. The new website is intended to provide the GIS Library with a platform from which to leverage a number of new GIS services including dynamic map services, standardized regional datasets and a Geoportal for locating regional GIS data. Over the past several months the GIS Library has undergone a major infrastructure upgrade as we have recently migrated to an enterprise ArcGIS Server solution on a tiered server infrastructure. However, not all of the intended GIS services are in place yet, so we suggest that you "watch this space" over the coming year. As the GIS Library continues to work through the deployment of new services and the process of service refinement (which will continue to occur throughout 2010) we welcome you to browse the site and submit feedback. Please click on the "CONTACT" tab and let us know what you think - queries, suggestions and targeted input are most welcome. Many thanks for your patience while we get the remaining bits of this site bolted together and we hope you find this site a useful resource for geospatial requirements in Southeast Alaska. The new ArcGIS IDEAS website lets users get involved by suggesting new products, promoting favorite enhancements and interacting with ESRI Teams. ESRI has launched a new website called “ArcGIS Ideas” (http://esri.force.com). This website offers a place for users to communicate, discuss and vote on their ideas to ESRI teams and the ArcGIS user community. Acknowledges user ideas and provides users feedback on popular ideas. UAS is committed to providing accessible websites: www.uas.alaska.edu/policies/accessibility.html.